A year ago, people were smiling at the thought of postponing their EMV (Europay, Mastercard, Visa) pump investment until 2020. Now we have more than 2 million U.S. retail locations accepting EMV, and two-thirds of Visa cards are chip-enabled. Here’s a checklist to help retailers decide if they should invest in new pumps in 2018 or wait until 2020. What is happening in my market? Many of the private brands and big boxes have invested in upgrading their fueling networks—both pumps and point of sale—to move quickly on EMV. Those with a global perspective understand that there will be a shift in market share as customers seek out “safe” EMV payments at the pump. Retailers should ask themselves: If you have private brands and big boxes in your market, can you afford to give up customers to them? Would new pumps or other site investments increase my volume? Most in the industry agree that new pumps and/or a site refresh grow inside and outside sales, with the most common estimates suggesting an average of 3% to 7% growth. Given that a 5% volume increase does not affect a retailer’s operating costs significantly, most of the incremental profit from inside sales will fall to the bottom line. As the industry upgrades to EMV over the next few years, it’s unlikely that those who wait will see the same type of sales lifts as those who update now. They may also find that it’s difficult to regain the share they’ve lost to competitors. The effect of this share shift can be thousands of dollars in monthly profit. How much more expensive is waiting? It is a tradition that pump manufacturers issue new price sheets with higher prices early in the year. It’s unlikely that they will change course with high demand expected in the coming years. Also, the industry faces a shortage of technicians in normal times. As we’ve seen in the past, the rush to get upgrades completed can result in overtime charges, higher base labor rates and work being done by less experienced technicians. The EMV upgrade is technically complicated, requiring experienced technicians that are in short supply. Finally, for businesses in a 30% or 40% tax bracket, the after-tax cost of equipment may increase with the proposed changes to the tax code. Equipment that today achieves a 40% depreciation deduction may receive only a 20% deduction under the new code, resulting in a $15,000 dispenser costing $3,000 more after tax. Is a site currently experiencing “excessive” fraud? There are a number of scenarios in which a retailer may be liable for fraud at their pumps prior to 2020. It is important that operators understand their risks from non-U.S. issued cards and if the store is considered an excessive-fraud location. What will new pumps save in maintenance and security? New pumps are more reliable and secure than pumps that have been operating for 10 to 15 years. They also come with a standard two-year warranty, which will lower maintenance costs. The security features on new pumps are designed to help protect from both fuel theft and data hacks. Many people considered the date change to 2020 to be a three-year reprieve on EMV. But consumers are now highly attuned to its benefits. EMV at the pump will become increasingly common throughout 2018. 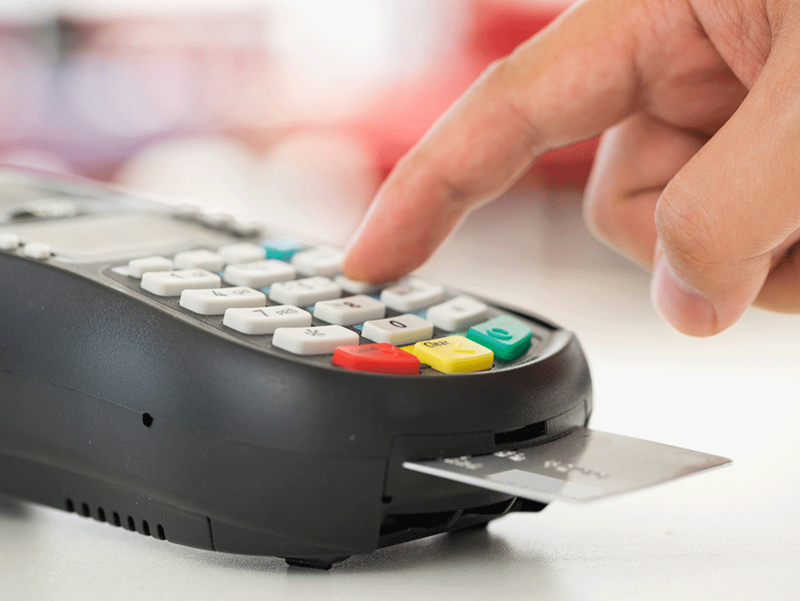 Consumers will, as they have in Canada and Europe, move their business to EMV-enabled pumps. Are the business reasons compelling enough for you to let 2018 be your 2020? Richard Browne is vice president of marketing for Patriot Capital. Contact him at richard.browne@patcapfinance.com.